You check in to say good night to your son only to find he is playing "Fortnite" in bed. Or your daughter is busy texting when she is supposed to be studying. Children and their phones are inseparable today, and all that reading and playing games on their handheld devices may be harming their vision. To reduce screen time, some parents ban phones at the dinner table. This applies to both adults and children. And in some homes, playing games or texting must stop two hours before bedtime. To put a hard stop on screen time, some moms and dads set time limits on their children's daily device use. For example, when a total of two hours of screen time has been reached, no more texting, game playing or YouTube watching. "Screen time" refers to the amount of time a person spends staring at the digital displays of computers, tablets (iPads, for example) and smartphones. According to The Vision Council, 72 percent of American parents report their children routinely engage in more than two hours of screen time per day. And it's very likely most kids actually spend significantly more time staring at screens than their parents think they do. Why might too much screen time be a problem for kids? Any of these symptoms could potentially affect academic performance and social interactions. The rapid rise of myopia, or nearsightedness, worldwide has been linked to increased use of and exposure to electronic devices. In Singapore, for example, 65 percent of students in Primary 6 are myopic. In the United States and Europe, where myopia rates traditionally have been lower, around half of young adults now suffer from myopia compared with 25 percent in the 1970s. The LED screens of computers and portable digital devices emit a broad spectrum of visible light. Most of these light rays are harmless, but a portion of the light emitted by these screens is relatively high-energy visible light called "blue light." Blue light has shorter wavelengths and higher energy than other visible light rays. And laboratory research suggests certain bands of blue light may be harmful to the light-sensitive retina of the eye over time. Blue light also plays an important role in regulating our body's circadian rhythm. This basically is an internal clock that's running in our brain and cycles between alertness and sleepiness at regular intervals over a 24-hour period. It's also called our sleep/wake cycle. Too much exposure to blue light at the wrong time of day can disrupt a person's normal sleep/wake cycle, which can have serious health consequences. When talking about the risks of too much screen time for kids, we’re basically talking about the potential harmful effects of too much blue light. And while it's true that staring at the screens of digital devices adds to the amount of blue light exposure kids get over the course of their lifetime, it's important to point out that the sun emits far more harmful blue light than computers, e-tablets and smartphones. So the blue light exposure from digital devices is an added exposure, over and above the larger amount of blue light exposure a person gets from sunlight. A second important factor to consider is the timing of the exposure. Blue light exposure from the sun only occurs from sunup to sundown. But blue light exposure from screen time can occur at any hour of the day, including well into the night. Possible risks from too much screen time for kids can be categorized as immediate or long-term. Immediate risks from too much screen time generally occur relatively soon after repeated blue light exposure. Many of these risks are associated with circadian rhythm disruption caused by staring at digital screens well into the night, which can make it much harder to fall asleep at a normal time. Sleep disruption can be especially problematic for children, leading to daytime drowsiness and poor performance in school because of it. Disruption of the sleep/wake cycle also can eventually lead to weight gain and obesity-related health problems. Research has shown that people who experience disrupted 24-hour cycles of sleep and activity also are more likely to have mood disorders, lower levels of happiness and greater feelings of loneliness. Wearing glasses that filter blue light from digital screens may help reduce your child's risk of eye problems later in life. The simple truth is that the long-term risks of incremental blue light exposure from frequent use of digital devices is not yet known. This is because no previous generation has been exposed to comparable levels blue light from digital devices from childhood on. It will probably take several decades before the long-term effects of extensive screen time for kids are better understood. But there is already some related research that suggests it may be wise to limit blue light exposure starting at an early age. Two years after cataract surgery, none of the eyes that received the yellow IOL that blocked blue light showed any new or worsening signs of macular degeneration (AMD). 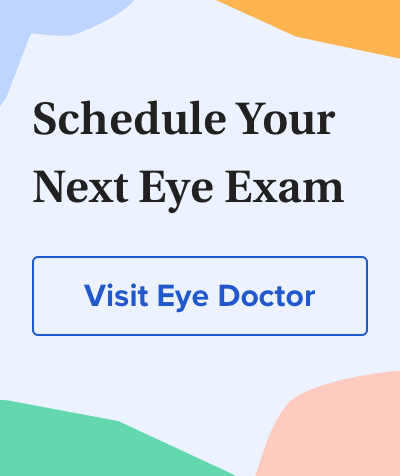 However, among eyes that received the clear IOL that didn't block any blue light, 15 percent of these eyes showed new or worsening signs of AMD. The results of this study suggest that the retinas of aging eyes are more susceptible to oxidative damage caused by blue light exposure. If this is true, then it may be prudent and wise to take steps to reduce premature aging of the retina by limiting the amount of blue light exposure the eye receives throughout life. The greatest benefit may occur when these protective measures are taken during childhood, because this is when the media of the eye (the lens in particular) are exceptionally clear and allow the greatest amount of blue light to reach the retina. So then, what can a parent do to prevent harm to their child's eyes (and overall health) from too much screen time? It's unlikely kids will reduce their use of digital devices. So the answer lies in taking steps to limit the amount of blue light reaching their eyes while they are using these devices. The sun emits much more blue light than digital devices. All kids should wear sunglasses outdoors to reduce their lifetime exposure to harmful blue light. One solution is to purchase eyeglasses with lenses that reduce the amount of blue light that enters the eyes from computer, e-tablet and smartphone screens. A number of lens manufacturers produce eyeglass lenses that filter blue light. Another option is to have an anti-reflective coating that blocks blue light applied to the lenses. A third option is to purchase glasses with photochromic lenses. These sun-sensitive lenses block some blue light indoors and have the added advantage of automatically blocking additional blue light from the sun outdoors without the need for a separate pair of prescription sunglasses. Yet another option — and the best option for superior protection from harmful blue light from the sun — is a pair of polarized sunglasses for outdoor wear. But what if your child doesn't need prescription glasses? The most convenient option in this case is to purchase a protective blue light filter that can be applied to the surface of your child's digital devices. Examples include InvisibleShield Glass+ VisionGuard screen protectors from ZAGG. Also, remember to use the blue light filtering features on certain devices (like Apple's Night Shift), or multi-platform apps that block blue light, such as f.lux and Iris. To reduce the risk of your child disrupting his or her sleep/wake cycle, create a "no-screens" rule at least an hour or two before their scheduled bedtime. Or set a time limit on your child's phone use. Apple, Google and other tech companies have recently introduced time management features and apps that allow you to monitor your child's daily screen time. Visit your phone vendor's website or store to learn more. Be proactive as a parent. One goal maybe? Spend more quality time together and less screen time with your son or daughter left to their own devices. Better yet? Protect your child's vision while they're watching YouTube videos, posting Snaps and playing games. Finally, schedule annual eye exams with an eye doctor near you to monitor your child’s vision and eye health. And don't forget to ask your eye doctor about blue light protection options. Kids and computer vision Tips to reduce your child's risk of computer vision problems. Concerned about cost? Make your child's vision care affordable with vision insurance. What causes myopia? Learn about the causes and risks of nearsightedness in kids. What is myopia control? What can be done to stop your child's myopia from progressing. Does not know how to parse this hyperlinkThe 2017 Common Sense Census. Common Sense Media. Accessed December 2018. How to use Apple's new screen time and app limits features in iOS 12. The Verge. September 2018. Digital eye strain. Does not know how to parse this hyperlink. Accessed July 2018. Association of digital media use with subsequent symptoms of attention-deficit/hyperactivity disorder among adolescents. JAMA. July 2018. Association of disrupted circadian rhythmicity with mood disorders, subjective well-being, and cognitive function: a cross-sectional study of 91,105 participants from the UK Biobank. The Lancet Psychiatry. June 2018. Google rolls out app time management controls. TechCrunch. May 2018. Circadian rhythms in diet-induced obesity. Advances in Experimental Medicine and Biology. September 2017. Myopia increasing worldwide. The Straits Times. August 2017. Prevention of increased abnormal fundus autofluorescence with blue light-filtering intraocular lenses. Journal of Cataract & Refractive Surgery. September 2015.